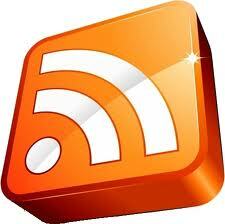 Fauquier ENT blog has recently changed its email subscription service from FeedBurner (run by Google) to FeedBlitz. Well, it is because Google appears to be shutting the FeedBurner service down. • FeedBurner API will be shut down on October 20, 2012. At that point, feed metrics will be gone, though feedburner itself will continue to work. • FeedBurner Twitter and Blog accounts were abandoned on July 26, 2012. Though Google has not specifically stated they will shut down FeedBurner, such actions (or inactions) stated above does not exactly build confidence in me. As such, rather than waiting for the complete shutdown to occur before making a move, transition has been made to what I believe is a superior email subscription service for blogs called FeedBlitz. I do expect a few errors to pop up while all bugs are worked out, so please be patient. What do current subscribers need to do? If you have subscribed by email already, there's nothing for you to do. You will continue to receive email updates with new blog entries. BUT, if you subscribe via RSS reader, you will need to change / resubscribe using the new feed run by FeedBlitz as the FeedBurner feeds will soon be discontinued.